Having a game plan is crucial to success. No winning team would ever head into battle without being prepared with a plan of attack. A game plan puts you on the offense, rather than being defensive and reactionary. Victory usually comes to the team that is aggressive and takes initiative. A game plan allows a team to be organized in their plan. When it comes to accomplishing goals in your life you need a game plan. You need to know both what you want and how you are going to get it. Too many people have an idea of what they want, but never take the time to really determine a course of action. Here are 4 steps to help you develop a game plan to bring about the success you are looking for. 1. Identify your desired outcome. Keep the picture of this final outcome clear in your mind. Determine the 3, 4, 5, or however many steps it will take to reach the outcome. This is where a lot of people make mistakes. They are not clear about the action steps so they never really begin. Perhaps you don’t know even where to begin; then your first step is to figure out what the first step is. With all the information available to you today at the tip of your fingers, there is really no excuse for not knowing. It may take a while to figure it out, but you can do it. Assess where you are now, and where you want to be. Then just like the GPS on your phone, outline the path to get there. Your goal won’t achieve itself. You have to take action. Don’t let obstacles keep you from taking each step you’ve laid out. A solid game plan knows many of the potential obstacles ahead of time. Determine what yours are. What has kept you from reaching this goal in the past? Or if this is a new goal, what do you anticipate will make achieving this goal difficult? Is it time constraints? Are there financial obstacles? Are there other resources you will need? It’s important to consider the obstacles ahead of time so that you can be prepared for them. Any worthwhile goal is going to have challenges. Don’t allow your obstacles to keep you from achieving your objectives. To help overcome these obstacles get someone to support you. Find someone you can share your game plan with that will hold you accountable and not allow you to make excuses. 4. Focus on the process, not the outcome. Keep focused on the steps and take action every day. Don’t worry about whether you have achieved your outcome yet; stay focused on the process. Too many people get hung up on the outcome and this can often get you off course. Any worthwhile achievement will take time, so stay focused on your process and just make sure you are making progress. Remember this, slow progress is still progress. Keep going til you get there. 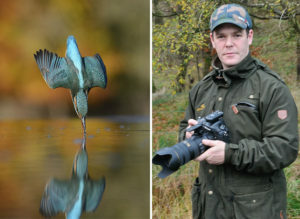 Check out this picture of nature photographer Alan Mcfayden. 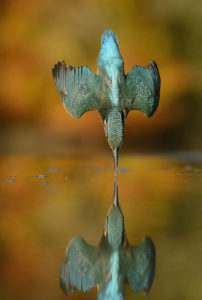 It took him 6 years, 4,200 hours and 720,000 photos to reach his goal of getting the perfect shot of a kingfisher diving straight into the water without a single splash. Sometimes he would take 600 pictures in a single session and not one of them would turn out. What is your game plan? Go through these four steps and keep working. If you feel like giving up, if you are discouraged because you haven’t got there yet, just remember it takes time. And remember remember there will be mistakes along the way, just get back up and get going again! Find your joy in the process and don’t give up til you get there! Need A boost getting things done?